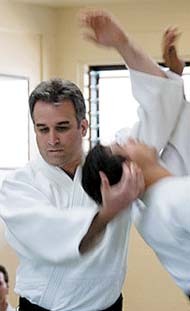 A public introductory course in ki-aikido for adults and teens will be offered on four consecutive Thursday nights, Feb. 7 through 28, at the Shunshinkan Dojo of Maui Ki-Aikido, 194 S. Market St. in Wailuku, from 6:30 to 8:30 p.m.
Ki-aikido is a Japanese martial art based on Zen principles, which teaches practical self-defense with a peaceful mindset and calmness training through movement. All aspects of ki-aikido practice will be introduced. The instructor will be 6th dan Tracy Reasoner under the guidance of Christopher Curtis, head instructor of Maui Ki-Aikido and chief instructor of Hawaii Ki Federation. The fee of $40 can be applied to dues if the participant joins the dojo to continue training after the four-week course. Ongoing classes for adults and youths are held daily at the Wailuku location, and on Tuesday evenings at the Mayor Hannibal Tavares Community Center in Pukalani. More information can be found at www.mauiaikido.com. Call 357-5172 for information and registration. “Transforming Tech Habits” is the title of a free presentation at 6 p.m. Thursday at Haleakala Waldorf School in Kula. Web designer Ben Klocek will lead the exploration of ways to form healthy tech habits for children and how to prepare them to thrive in a digitally focused world. Klocek, who has worked in the tech industry for more than 16 years, has been studying how people’s use of screen technology affects their lives. The campus is located at 4160 Lower Kula Road. For more information, call 878-2511 or visit www.waldorfmaui.org. The Italian American Social Club of Kihei will have its first potluck meeting for 2019 at 6 p.m. Tuesday in the Saint Theresa Church Hall, 25 Lipoa St. in Kihei. Kahului Hongwanji Preschool is having an open house from 8:30 to 10:30 a.m. Saturday for families looking for a preschool for the fall of 2019. 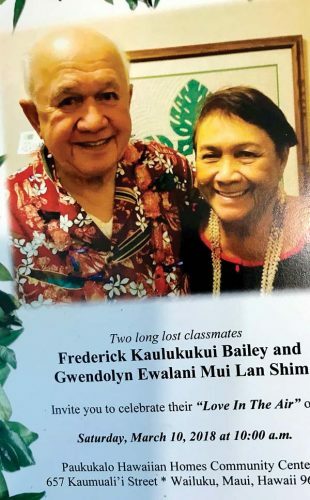 The school is located at 291 S. Puunene Ave. in Kahului. For more information, contact 877-7998 or www.kahuluihongwanjipreschool.com. Brother Noland, Na Hoku Hanohano Award-winning performing artist from Oahu, will be the featured entertainer at this month’s first Hawaiian Music Series concert of 2019. 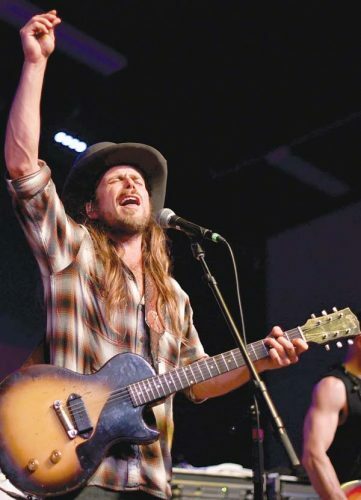 Now in its 11th year, the free event will be held from 6 to 7:30 p.m. Thursday on the front lawn of the historic Baldwin Home Museum in Lahaina, on the corner of Front and Dickenson streets. Limited seating is provided on the lawn; blankets, mats and low beach chairs are welcome. The ongoing Hawaiian Music Series is sponsored by the Hawaii Tourism Authority and the County of Maui Office of Economic Development, with support from KPOA 93.5 FM. 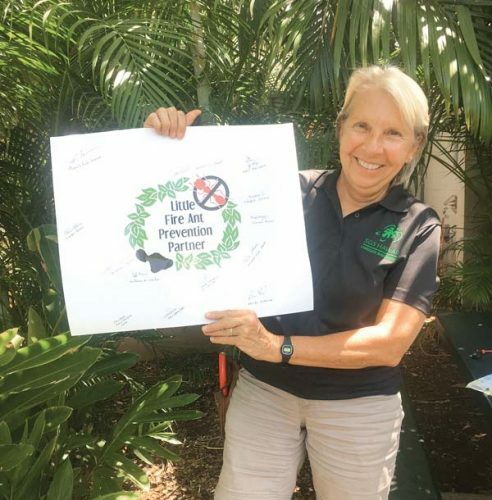 For more information, call the Lahaina Restoration Foundation office at 661-3262. Hawaii Ballroom Dance Association is hosting a Sweetheart Social at Maui Beach Hotel’s Elleair Ballroom from 6 to 9:30 p.m. Feb. 11. Tickets are $40 per person and include heavy pupu and a no-host bar. For more information, contact Lydia DelaCruz, ticket chairperson at 244-3263. 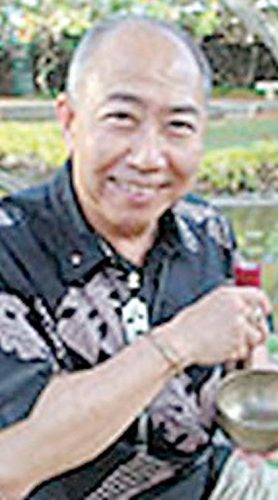 The Rotary Club of Kahului will welcome Marvin Moniz of the Hawaii Department of Transportation to its weekly meeting from noon to 1 p.m. Monday at Tante’s Island Cuisine in Kahului. Moniz is the airports district manager for Maui County. He will provide updates on recent airport projects and upcoming ones, as well as changes from airlines going into 2019 and overall growth in Maui. Tante’s is located at 100 W. Kaahumanu Ave. Lunch costs $20. AARP’s Smart Driver Course will be offered from 1 to 5:15 p.m. Wednesday at Kalama Heights in Kihei. The course is designed for drivers age 50 years and older, but all adults are welcome to attend. The emphasis is to become more aware of common age-related physical changes, how they affect one’s driving ability, and how to compensate. The $20 fee (cash or check) will be collected at the beginning of the class. AARP members receive a $5 discount with proof of membership. Some insurance carriers offer three-year discounts to those who complete the class. Pre-registration is requested. To register, call Kaunoa Senior Center at 270-7308. • April 12 and 13 for the David Malo dinner and Ho’olaule’a, respectively. • Aug. 2 and 3 in Las Vegas for a stag night and couples/partners night, respectively. For details, visit lunas1979.org or contact Helen Perlas-Ka’ai at 1979lunas@gmail.com.